This article was peer reviewed by Craig Bilner and Adrian Sandu. Thanks to all of SitePoint’s peer reviewers for making SitePoint content the best it can be! Clojure makes a distinction between persistent values that can’t be changed and transient values that have temporal lifetimes between mutations. Attempts to modify persistent data structures avoid mutating the underlying data by returning a new structure with the changes applied. It may help to see what this distinction would look in a theoretical programming language. We can see that the transient list was mutated when we pushed a value onto it. Both a and b point to the same mutable value. In contrast, calling push on the persistent list returned a new value and we can see that c and d point to different to discrete lists. These persistent data structures can’t be mutated, meaning that once we have a reference to a value, we also have a guarantee that it won’t ever be changed. These guarantees generally help us write safer and simpler code. For instance, a function that takes persistent data structures as arguments can’t mutate them and therefore if the function wants to communicate meaningful change, it must come from the return value. This leads to writing referentially transparent, pure functions, which are easier to test and optimize. More simply, immutable data forces us to write more functional code. Mori also uses structural sharing to make efficient changes to data by sharing as much of the original structure as possible. This allows persistent data structures to be nearly as efficient as regular transient ones. The implementations for these concepts are covered in much more detail in this video. What is the value of fellowship when it is logged to the console? Without running the code, or reading the definition for deletePerson() there is no way to know. It could be an empty array. It could have three new properties. We would hope that it is an array with the second element removed, but because we passed in a mutable data structure, there are no guarantees. Even worse, the function could keep hold of a reference and mutate it asynchronously in the future. All references to fellowship from here onwards are going to be working with an unpredictable value. Compare this to an alternative with Mori. Regardless of the implementation of deletePerson(), we know that the original vector will be logged, simply because there is a guarantee that it can’t be mutated. If we want the function to be useful, then it should return a new vector with the specified item removed. Understanding flow through functions that work on immutable data is easy, because we know that their only effect will be to derive and return a distinct immutable value. Functions operating on mutable data don’t always return values, they can mutate their inputs and sometimes it’s left to the programmer to pick up the value again at the other side. More simply, immutable data enforces a culture of predictability. We’re going to look at how we can use Mori to build a pixel editor with undo functionality. The following code is available as a CodePen which you can also find at the foot of the article. We’ll assume you’re either following along on Codepen, or you’re working in an ES2015 environment with Mori and the following HTML. Let’s get started by destructuring the functions we’ll need from the Mori namespace. This is mostly a stylistic preference. You can also use any of the functions from Mori by accessing them directly on the Mori object (e.g. mori.list()). The first thing we’ll do is set up a helper function for viewing our persistent data structures. Mori’s internal representation doesn’t make much sense in a console, so we’ll use the toJs() function to convert them into an understandable format. We can use this function as an alternative to console.log() when we need to inspect Mori’s data structures. Next we’ll set up some configuration values and a utility function. We’ll use our to2D() function to create a sequence of coordinates that will represent all the pixels on the canvas. We’re using the range() function to generate a sequence of numbers between 0 and height * width (in our case 100) and we’re using map() to transform it into a list of 2D coordinates with our to2D() helper function. It might help to visualize the structure of coords. It’s a one-dimensional sequence of coordinate vectors. Alongside each coordinate we’ll also want to store a color value. We’re using the repeat() function to create an infinite sequence of '#fff' strings. We don’t need to worry about this filling up memory and crashing our browser, because Mori sequences support lazy evaluation. We’ll only compute the values of the items in the sequence when we ask for them later. Finally we want to combine our coordinates with our colors in the form of a hash map. We’re using the zipmap() function to create a hash map, with the coords as keys and the colors as values. Again, it might help to visualize the structure of our data. To change the color of pixel we’ll to associate one of the coordinates in our hash map with a new string. Let’s write a pure function that colors a single pixel. We use the x and y coordinates to create a coordinate vector that we can use as a key, then we use assoc() to associate that key with a new color. Remember that because the data structure is persistent, the assoc() function will return a new hash map, rather than mutating the old one. Now we have everything we need to draw a simple image onto a canvas. Let’s create a function which takes a hash map of coordinates against pixels and draws them onto a RenderingContext2D. Let’s take a minute to understand what’s going on here. We’re using each() to iterate over our pixels hash map. It passes each key and value (together as a sequence) into the callback function as p. Then we use the intoArray() function to convert it into arrays that can be destructured, so we can pick out the values we want. Finally we use canvas methods to draw a coloured rectangle onto the context itself. Now we need to do a bit of plumbing just to get all these parts together and working. We’ll get hold of the canvas and use it to create a context for rendering our image. We’ll also resize the it appropriately to reflect our dimensions. Finally we’ll pass our context with our pixels to be drawn by the paint method. With any luck, your canvas should be rendering as white pixels. Not the most exciting reveal, but we’re getting close. We want to listen for click events and use them to change the color of a specific pixel with our draw() function from earlier. We’re attaching a click listener to our canvas and using the event coordinates to determine which pixel to draw. We use this information to create a new pixel hash map with our draw() function. Then we paint that into our context and overwrite the last frame we drew. At this point we can draw black pixels into the canvas and each frame will be based on the previous one, creating a composite image. To implement undo, we’ll want to store each historic revision to the pixel hash map, so we can retrieve them again in the future. We’re using a list to store the different “frames” that we’ve drawn. Lists support efficient addition at the head and O(1) lookup for the first item, which makes them ideal for representing stacks. We’ll need to modify our click listener to work with our frame stack. 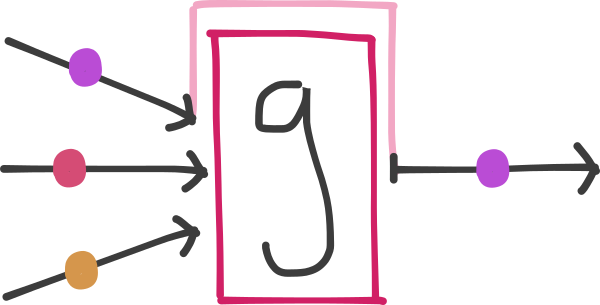 We’re using the peek() function to get the frame at the top of the stack. Then we use it to create a new frame with the draw() function. Finally we use conj() to conjoin the new frame onto the top of the frame stack. Although we’re changing local state (frame = conj(frames, newFrame)) we’re not actually mutating any data. Finally we need to implement an undo button for popping the top frame from our stack. When the undo button is clicked we check whether there are currently any frames to undo, then use the pop() function to replace frames with a new list that no longer includes the top frame. Finally we pass the top frame on the new stack to our paint() function to reflect the changes. At this point, you should be able to draw and undo changes to the canvas. 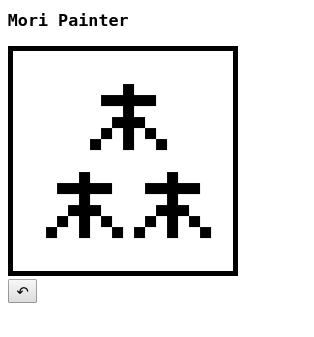 See the Pen Mori Pixels by SitePoint (@SitePoint) on CodePen. We’ve looked at vectors, lists, ranges and hash maps, but Mori also comes with sets, sorted sets and queues and each of these data structures comes with a complement of polymorphic functions for working with them. We’ve barely scratched the surface of what’s possible, but hopefully you’ll have seen enough to value the importance of pairing persistent data with a powerful set of simple functions. Digital Nomad and co-founder of UK based startup Astral Dynamics.